Ask anyone who follows the Android market (to which I’m still a relative new comer) and they will tell you that the dark horse, feel good story of 2014 was the OnePlus One. It was a solid device with flagship specifications that under cut the price of similarly spec’d devices by over half in some cases. Try to go get a Samsung Galaxy-anything with 64GB of storage for under $350. It can’t be done so the price factor was a huge attraction for OnePlus on their first phone. And in every way, OnePlus far exceeded the sales figures that they or anyone anticipated. Being the new kids on the block is tough in the smartphone world, particularly in the Android world where there are literally phones released every week. OnePlus overcame that through a combination of price competitiveness, a top-end spec’d device and viral (almost gorilla) marketing. It worked. The company targeted less than 100,000 units to be sold and they are well beyond a million units sold. mark with the 2, to achieve that, the phone must have the same killer specs at the same price point but with a further updated design and OS build. On the OS side, that will be accomplished by the Oxygen OS (based on Android) build the company is developing. That will, akin to Apple, give them virtually complete control of both the hardware and the software. It’s a big advantage that the company should be able to win with long term. On the hardware side, there is still much debate about what exactly will be the innards of the OnePlus 2. It will likely be powered by the SnapDragon 810 v2.1 processor, have 3GB or RAM and will probably come in a 16, 32 and 64GB storage configuration. Ultimately though this is speculation and until the specs and launch date are known, we won’t really know. Assuming for a moment however that these are correct and the OnePlus 2 is a 5.5″ device like the One with full HD and at the same price, the company will be well on their way to another successful product. They key will be making sure that the device launches with a stable, relatively bug free OS build (nothing is 100% bug free). The last thing the company can afford is a show stopping bug to get into the wild. The OnePlus One did have some serious OS bugs but nothing that ground things to a halt. 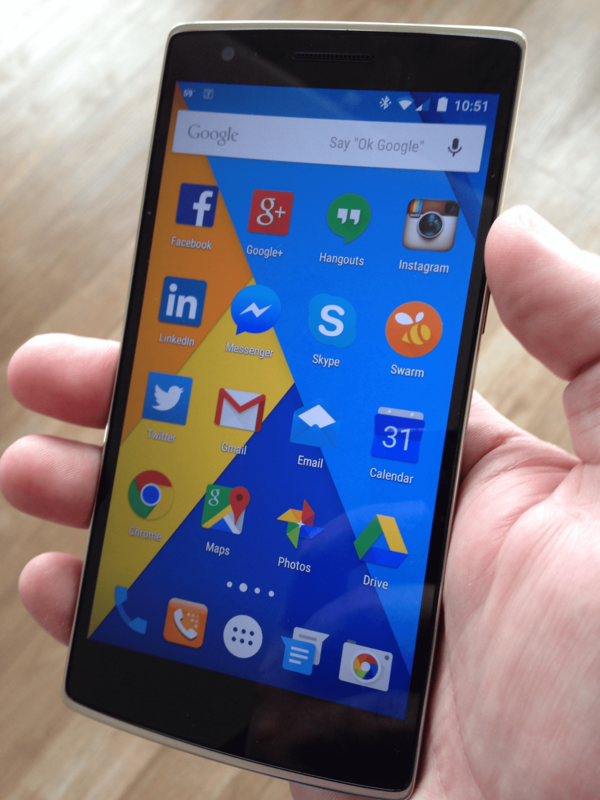 With the OnePlus 2, there will be even less forgiveness on critical bugs. This brings me to my second point, the long term financial viability of OnePlus depends on the OnePlus 2 being successful. The company has been very clear and public about the fact that the OnePlus One was, effectively, a loss leader. The margins on the device were so thin that if you looked at from a pure financial perspective it did not make sense. The management team at OnePlus are well aware as are their investors. If the company keeps the OnePlus 2 at or near the same price as the One, it will also be a loss leader. Given the competitive nature of the smartphone market, margins are already thin across the board regardless of manufacture. OnePlus’ decision to effectively make no money on their first two devices means two things. One, they want to get their story right and their devices right before they start increasing prices (likely in their 3rd device) to increase margins. Two, it means their investors are in the game for the long haul. They know that short term success does not necessarily mean long term success but they are making the proper investments and sticking with a formula that has worked for them to play in this market long term. I applaud them because the road to success is littered with the carcasses of companies who did not have the proper investments or vision. The lack of profits however does put constraints on the company which consumers feel. It is very likely that the OnePlus 2 will have a similar invitation system to buy much like the One did last year. That process was met with skepticism at best and out right anger at worst. The reality though is that the company simply cannot afford to churn out a million-plus units in their first run of the OnePlus 2. They simply don’t have the capital to do it. That means that availability will be constrained for several months after the 2 hits the market, likely in the 3rd quarter of this year. Invitation processes in themselves are not that big of a deal. Frankly, if you look at it, Apple does the exact same thing. They just call it pre-ordering. You miss out on getting the new iPhone in the first hour or two, you are stuck waiting for weeks. What OnePlus has to do therefore is be exquisitely and painfully clear on how the invite process will work, something that they did not make very clear on the One. This includes not only when invites will be available but also information like lead times from time of order to device in hand (or a reasonable approximation). The company cannot afford to be vague in any of this process with the OnePlus 2. If they do, they run the risk of turning people off to the device just because of ambiguity of the ordering process. Finally there is the factor of being considered a player in the marketplace. Most of OnePlus’ competitors in the marketplace do not really consider them a major player in the market. Why? They have had one device which, while successful, is still only one device. They don’t have an expansive portfolio of devices nor do they even have a tablet device. It’s one phone. So for anyone in the market to really take them seriously, the OnePlus 2 has to be another big success. Then, with two huge successes in the market, OnePlus can start to increment the price up and start expanding their portfolio of products. Only then will competitors really stand up and take notice. Without a successful OnePlus 2, the company will forever struggle to gain mind share as they try to overcome the “yes, but the OnePlus 2 wasn’t all that great” mentality. And don’t think for a second that their competitors one use that line against them. With all of this in mind, the OnePlus 2 has a lot riding on it for the company. Their long term future and profitability is at stake. Their ability to capture mind share in a crowded market is also at stake. Can they do it? I have no reason to think they can’t but as a young company with only a finite amount of investor patience, they have little room for error on their second release. Let’s hope for the sake of a competitive and diverse Android smartphone market that it is a success for OnePlus.